Should I restore my classic car? ‘Should I restore my classic?’ It’s a question that every petrolhead who loves their car will ask themself at some point. But while the question is straightforward, the answer is often long and complicated by many different factors. Of course, if we dealt in cold hard facts, the answer would be much more concise. ‘Will the car be worth more after its been restored?’ In almost all cases, the answer is ‘no’. Professional restorations are long and involved things requiring hundreds of man hours, expensive parts, and that's before you even factor in a paintjob. But as always, it depends on you and your car. 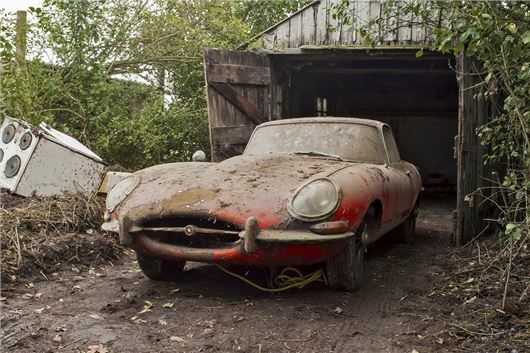 For example, if you’ve inherited a Jaguar E-type from a long lost relative, then restoring it might be an option. If you’re confident the car is solid and rot free, that the engine needs only a light rebuild, that the seats need cleaning rather than re-stitching you might have a case. Especially if you’re handy with a set of spanners, work in the trade and have a mate who can paint. Sure, the more prestigious the car is the more it will be worth when sale time comes. But the parts will also be expensive. A front wing for a Mk1 Mini might be £105, but a front wing for a Mk2 Jaguar is £2390. You get the point. But if you’ve got 1990s modern classic like a Mercedes-Benz 190, taking the car off the road and having it restored will cost you significantly more money than the car will ever be worth. In this case, you’re better off taking the MoT advisories list and adding jobs to it. Prioritise the ones that are urgent and will keep the car on the road. While it might be nice to get those bubbles of rust over the rear wheelarch sorted, it’s a slippery slope. That splendid wheelarch will only highlight the car’s other shortcomings. First, it’ll be a wheel refurbishment and before you know it you’ll be getting quotes for a respray. A scruffy wheelarch might not look great, but it won’t stop the car doing its job. More importantly, it won’t stop you being able to enjoy the car while it does its thing. There are, of course, a couple of exceptions to this rule. If you’ve got an Aston Martin DB4 GT Zagato raced by Jim Clark that’s worth up to £15m, then a professional restoration shouldn’t take too much out of your profit margin. But there are cases where restoring and using a classic would hurt its value. Ever wondered what happens to all those ‘just 200 miles from new!’ classics that go for stellar prices? Nothing. No, literally, nothing. They’re mothballed and most of them turn up at auction a few years later. Let’s face it, driving it would devalue your investment so in these cases cars become collectors’ pieces. Their owners enjoy showing them off and once they’ve got their out of them, they move them on. But there are ways to beat the system. We once met a chap who found a Morris Minor in a barn. It must’ve been there for 20 years – and it looked like it. He restored all the mechanicals and made it safe and road legal, but then had the body wrapped to preserve the patina. He did almost all the work himself, learnt new skills and made a host of friends along the way. His project made him happy. Ultimately, only you can answer the question of whether or not you should restore your classic. You know how much it means to you, how much it’s worth, and how much a restoration would cost. But for us, there’s a much more important question to ask: ‘Should I enjoy my classic?’ The answer to that is an easy yes. How you do that up to you. I have a 1968 AMC Rambler Rebel SST that I've recently bought as a restoration project. The car is a factory RHD (UK registered from new) with less than 30k on the clock and totally original at the minute. My immediate plan is to get it up and running/driving and sort brakes and all safety critical jobs. I know these cars are rare but does anyone know how rare (less than 10?)? For your information it's a 290 v8 car with 3 speed column change, split front bench seat model, PAS and front disc brakes as standard. Believed 1967 model car (no middle pilar or front repeaters in wings) but registered August 1968.